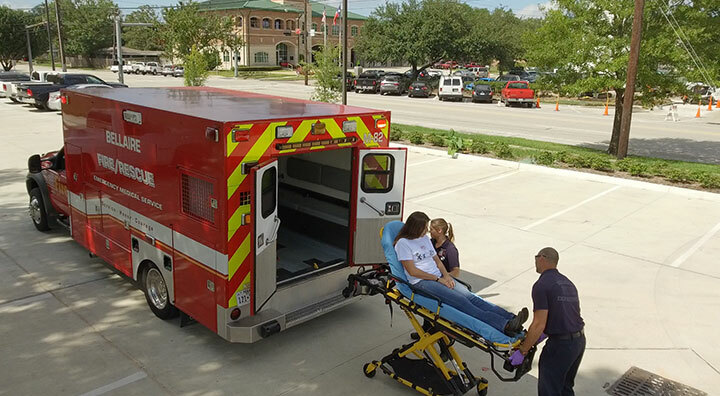 Our department consists of an excellent team of 21 paid professional dual certified paramedic firefighters, along with a group of dedicated volunteers. Our firefighters are committed to our Community, protecting lives and property while making a positive difference each day. Whether you are looking to further your experience, make a career change, or looking for a great place to plant your roots, the City of Bellaire wants you to be part of our growing community. Your hard work and self-sacrifice get noticed in the small City of Bellaire. You will be very involved with the everyday operations of the firehouse. As you become more acquainted with the individuals you serve you will quickly realize our community truly respects your integrity and gratitude. Every day will bring you challenges, opportunities, and new training. Your personal and professional development is important to us. You will be expected to build a working environment based on trust and respect for each other. Being part of the team means you will spend a lot of time together in close quarters, and no matter what situation you encounter, someone will always have your back. You are a true first responder - by being the best firefighter and EMT-paramedic possible. As a first responder, you will maintain a high standard of physical fitness to be able to perform your job efficiently and work long shifts to ensure the station is prepared for an emergency at any time of the day. With that said, we value your confidence, resilience and commitment to excellence. We provide several cross training opportunities that allow you to experience diversity in the day to day duties. We will consider out of state applicants with IFSAC Firefighter I-IV and NREMT-P who are seeking Texas Certifications.